The centrally-located Novotel Makassar Grand Shayla provides everything the discerning traveller looks for in a hotel. After a day's work in the business centre, or sightseeing around town, reap the benefits of a massage or a dip in the outdoor pool. With 4-star service and first-rate amenities, we have all your needs covered at Novotel. 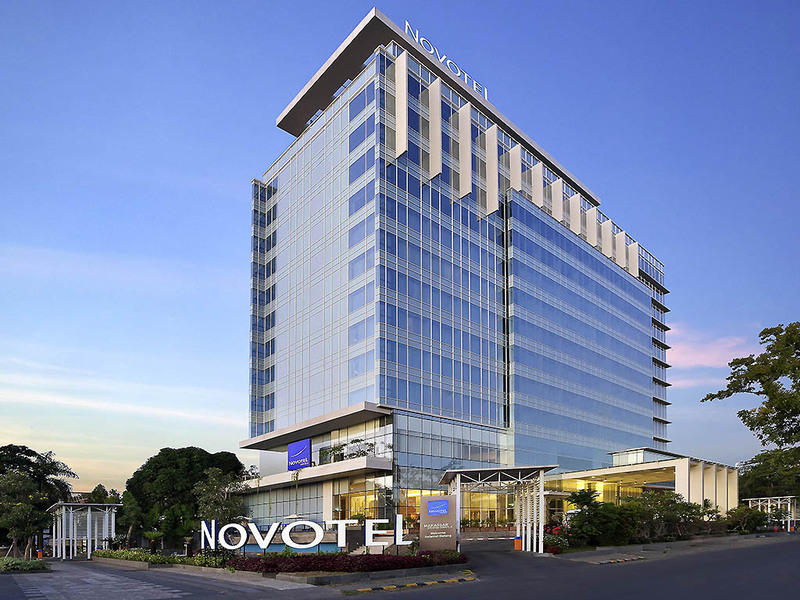 Novotel Makassar Grand Shayla City Centre offers the perfect base to explore "Daeng" City. Easily accessible from Sultan Hasanuddin International Airport as well as other public transports. Our 32 m² rooms can accommodate 2 adults and 2 children under 12. Square Kitchen provides the perfect balance of authentic traditional and international cuisine. Our bar is the place to unwind with its soothing, relaxing music. Our bar is the place to unwind with its soothing, relaxing music. All the services given is good. suggestion, more provided local food (snack). Good location, nice staff and cleanliness is good. Breakfast is moderate. Since arrived welcome smile, nice food over all with local and international taste. Clean room, Good gym, etc Satisfied to your guest. The bed, room cleanliness, amenities, and breakfast was overall satisfying. novotel provides facilities that make guests comfortable. fragrant rooms, soft mattresses and pillows. which is prioritized neatness and cleanliness before guests enter and that has been done by the hotel manager. thank you novotel and thank you accor for making me comfortable and comfortable to stay. Excellent service and very nice staff. Room is big and clean. Very recommend hotel in Makassar. Nice place and well done..! Im very happy because the room is nice, clean n comfortable. The staffs all is nice n warm n always say hello to the cuatomers. The food is very delicious n i like it very much. N there are so much food when breakfast. I feel WoW experience when i stay in Novotel Makassar Grand Shayla.. Thank you for the warmth welcome n service.. it feels like home..
You need to maintain the quality of the room. My room carpet is smelly and left bad air. The room boy should be alert and complete the amenities in the room. Your food in restaurant is so terrible. The hotel should improve and adding more varieties. I have stayed there for 4 nites but every day get the same menu and tasteless. And we rent the ballroom for few days and your staff complained we demand too much. As you know the hotel is provide the service to the guest.